Start by checking how the speakers will feel on your ears. Some speakers are designed to ensure that they slide right into the ear pads on your helmet. However, some helmets won’t take these types of speakers. 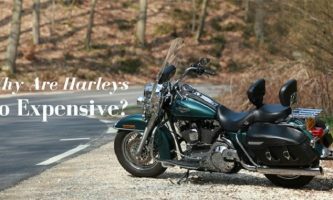 Therefore, you first need to understand the type of helmet you have before shopping for motorcycle helmet speakers. 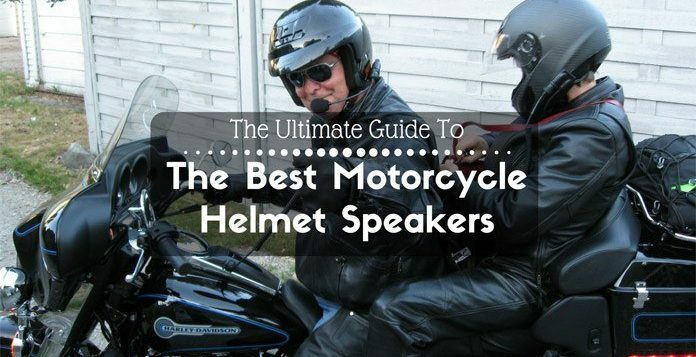 This understanding will enable you to uncover the best speaker model and design according to your helmet. Second, you should ask yourself whether you like wearing riding gloves when you are out on the road with your bike. This is because some motorcycle helmet speakers have volume control and other buttons. Although you can easily manipulate some these controls and buttons with your gloved hands, others will be difficult to access. Therefore, if you like your gloves, then you might want to consider investing in voice-controlled wireless speakers for your motorbike. Next up, consider whether you’ll need to get speakers that come with a microphone. These types of speakers are ideal if you would like something that can be operated hands-free. 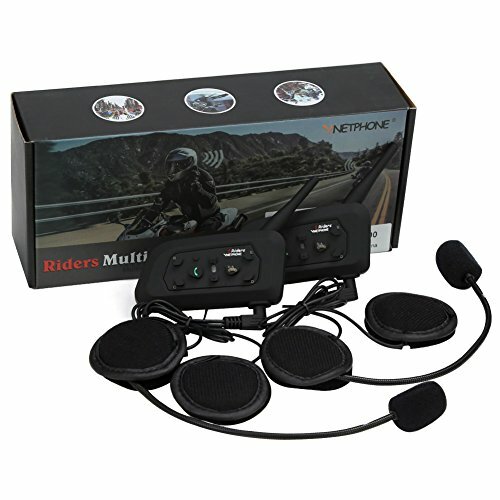 One of the features, therefore, to look for in the best motorcycle helmet speakers is whether they will allow you to receive and make calls, as well as operate GPS device and play music without removing the helmet. 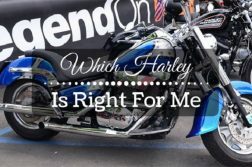 Which motorcycle helmet speakers should you choose? How will you know the features to look out for as you go about shopping for the perfect speakers? Well, the answers to these questions are quite cliché. One of the main things to consider is the form of the headset. 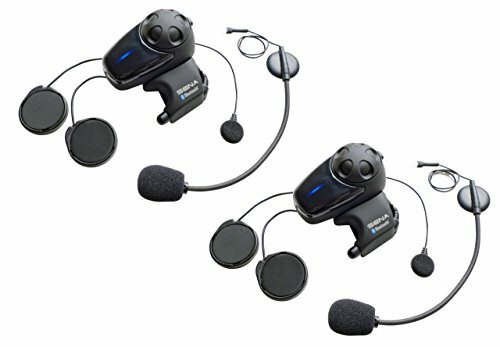 Most headsets come in two forms: freestanding and attached. Whereas the attached variety is embedded into a helmet, the freestanding types are not. However, this is not to say that all headsets fall into these broad categories. 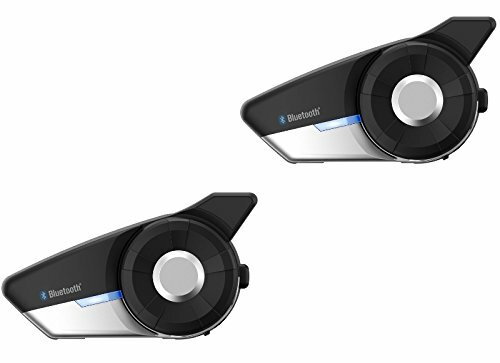 You can get specialized freestanding motorcycle speakers that are ideal in those instances where other types of speakers are not comfortable for wearing together with a helmet. Similarly, attached speakers cannot be used outside a helmet. 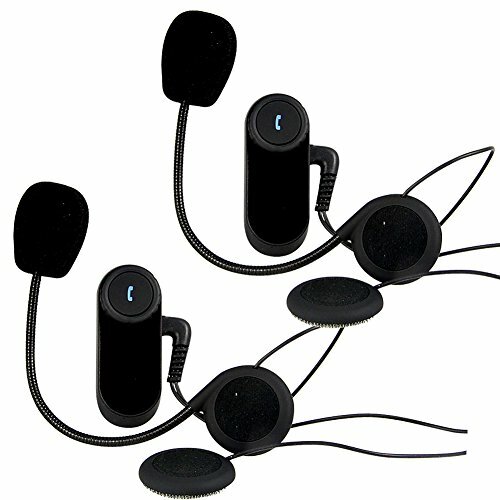 These types of speakers usually come in the form of headphones for wearing in your ear. As such, they will be embedded right into the position where your ears go. After that, the speakers are connected to a media device either through Bluetooth or via a cable. This brings us to the dissection between Bluetooth and wired motorcycle helmet speakers. The wired variety only works when it is directly connected to your device (smartphone, tablet, iPod, and so on) whereas a wireless speaker doesn’t need wires because it connects to devices automatically via Bluetooth. 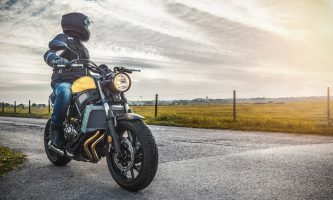 Still, some Bluetooth motorcycle helmet speakers also have wires – which will come in handy in case your Bluetooth connection fails. That said, since Bluetooth isn’t the most reliable connection around, you might want to consider investing in a wired headset. 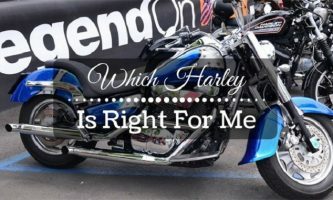 Overall, however, your personal preference will determine whether you will get Bluetooth or wired motorcycle helmet speakers. For instance, some riders prefer the Bluetooth variety simply because they have fewer cables to deal with when out on the road. Another of the factors you might want to consider, size is important where bike helmet speakers are concerned. More particularly, you should check the thickness and diameter of the speaker. If you get speakers that are too thick, they might not end up fitting inside your bike helmet correctly. The result of this is that the speakers might press against your ears – making for an uncomfortable riding experience. 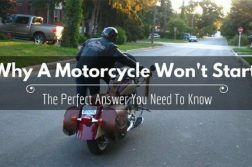 Similarly, these types of speakers might not even go into your helmet or ensure that you get the structural integrity required while riding a motorcycle. To this end, bigger does not necessarily mean better where motorbike speakers are concerned. Similarly, the smallest option might also prove to be impractical. What you need to do, therefore, is to get the perfectly sized speakers for your bike helmet. 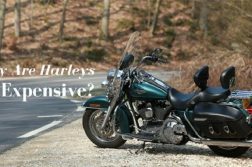 Another feature you should think about while shopping for the best motorcycle helmet speakers is the quality of sound they produce. While every company which manufactures riding speakers claims that their speakers are of the best quality, this is not necessarily true. The solution is to check the quality of the sound on your own. If possible, do test runs on each speaker you consider. Where this is not practical, read user reviews posted online to see what people are saying about the sound quality of the speakers you are thinking about buying. Similarly, it is important that you consider the price of the motorcycle helmet speakers you wish to invest in. Since you will probably be spending a good amount for the speakers, it is imperative that you ensure the price meets your budget and other requirements. That said built-in bike speakers tend to be the most expensive. This is because you will, in effect, be buying both the speakers and a new helmet. To this end, you might want to ensure that you don’t spend money your bank account cannot afford. It goes without saying that the best motorcycle helmet speakers are, at the same time, the most comfortable. When you wear your helmet with the speakers, nothing should obstruct you in one way or the other. Since you will be riding a bike, it follows that an uncomfortable set of speakers will distract you from the road. This will, invariably, put your life in danger. Consequently, to ensure that you don’t go down this path, take good care so that the speakers you buy feel comfortable. Last but not least, your personal safety comes first. None of the fancy gimmicks most retailers and manufacturers use to market their speakers should take up the place of your safety. 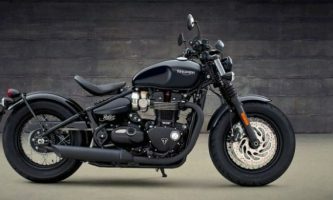 To this end, you should only consider investing in those motorcycle speakers that comply with every safety standard accepted as a norm in the industry. In writing this guide, we took good care to only include the safest, most compliant speakers on the market. As you go through the recommendations below, you can rest assured that none of them will mess up with your safety. So, there you have it – the ultimate guide to the best motorcycle helmet speakers on the market today. The recommendations above rank among the top speakers. As such, you will get perfect performance irrespective of the choice you end up making. 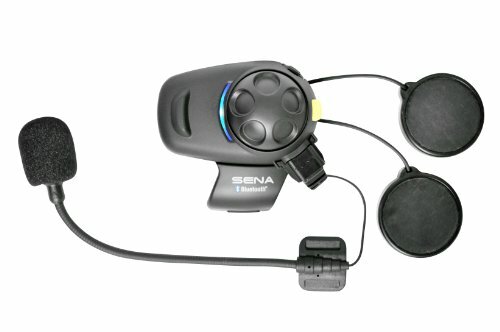 In our view, however, the Sena SMH5-FM-01 Motorcycle and Scooter Bluetooth Headset / Intercom with Built-in FM Tuner (Single) ranks among the best in the list. Apart from the numerous features it boasts, this speaker is also quite versatile when you think about what you will be able to accomplish with it. In conclusion, whichever of the above headsets you end up picking should serve you well. 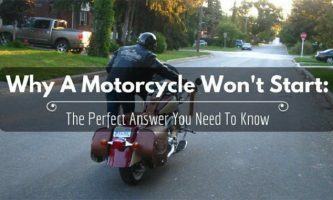 As long as you learn how to use the set correctly and continue riding safely and responsibly, they will help you enjoy your ride every single time you hit the road.